Hop-Bearer w/Mosaic debut this Friday 9/14! Friday after next our flagship beer HOP-BEARER IPA returns on tap but with a twist as this batch features Mosaic hops! Mosaic used in place of Citra for both the boil and dry-hop additions. Hence the double dry-hopping combo for this batch is Mosaic (seven days before kegging) and Amarillo (four days before kegging). “Mo” (as it’s called by some) features mango, lemon, citrus, earthy pine, tropical fruit, and stone fruit notes and is similar to Citra but with a bit of a sweeter citrusy/fruity profile. This batch is coming along quite nicely and will be freshly ready for its release at both locations on Friday the 14th starting at 3: hop heads of the world unite! 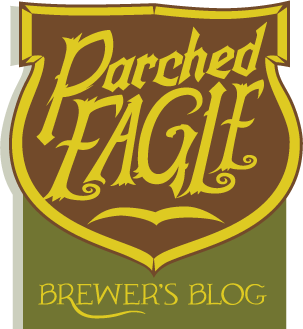 Excellently adding to the appeal for the debut of Hop-Bearer w/Mosaic this Friday is the fact that this is also the birthday party for Parched Eagle Vice President/Maintenance Manager and all around good guy Tom Christie: come hoist a glass with Tom! The Weakling Belgian Tripel release party Friday August 17th! On the heels of our participation in the Great Taste of the Midwest this past weekend next Friday THE WEAKLING Belgian Tripel makes its debut at our E. Wash Taproom (1444 E. Washington Avenue)! For The Weakling we use Wyeast Labs’ seasonal release Canadian/Belgian yeast strain, which originally comes from Unibroue. This is a dynamite choice for the Tripel style that showcases the malt profile along with appropriate light fruit esters (e.g. lemons and oranges) and some of its own spicy character. Also expect good balancing hop bitterness along with a bit of Saaz noble hop flavor and aroma. We brewed it once before two years ago and it was a hit, including a 4.04 rating on Untappd. 9% ABV and not weak at all (but very smooth)! We also welcome one of Madison’s newest food carts–PERUVIAN LOCOS–to our Taproom and they’ll be out front serving their delicious South American fare from 5 to 8. Should make for some interesting food and beer pairings. Salud! The Weakling will of course also be returning on tap at our Westport Brewhaus on Friday starting at 3, after an hiatus of almost two years (way too long for this elegant beer). Triumphant return of COLLAB WEIZENBOCK this Saturday June 30th! This Saturday June 30th at 3PM at both locations we welcome the return of COLLAB WEIZENBOCK! The first batch was a collaboration with our buddies Working Draft Beer Company and was a smash hit at both of our locations when released in mid-February, lasting for less than a week. Then it was one of the most popular guest beers on tap for Working Draft’s opening days. So, we’re excited to have this wonderful wheat ale back on tap next weekend. Weizenbock is a cool style: a true melding of Dunkles Bock and Weissbeer with rich Munich malt character coupled with the hallmark banana and clove of Weissbeer yeast strains. This batch is showing a ton of promise and will be about 7% ABV. Also Collab Weizenbock is the second in our series of three wheat beers we’re releasing in a row this summer: in between WESTPORTER WEISSE Berliner Weisse released last Friday and SIMDROME American Wheat Ale that we’re scheduling to be released on Friday July 6th. Westporter Weisse (Berliner Weisse) 2018 release party this Friday 6/22! Friday June 22nd is the 2018 release for WESTPORTER WEISSE Berliner Weisse! Kettle soured for two days and inoculated with Greek yogurt, this seasonal favorite returns just in time for the beginning of summer! 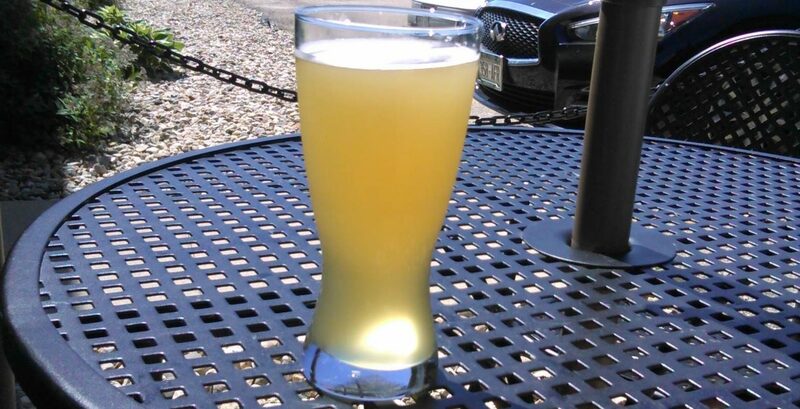 Berliner Weisse is the main style of sour beer from Germany, is elegantly tart and most refreshing/quaffable, and was dubbed the “Champagne of the North” by Napoleon’s troops in 1809 as they marched through Berlin. And as they do in Berlin we’ll have a shot of either Woodruff, Raspberry, or Blood Orange syrup on hand to balance the substantial sourness of Westporter Weisse. That said: I prefer Westporter Weisse without any of the syrups. It will go on tap at both of our locations at 3 (though the Westport Brewhaus “only” has Woodruff and Raspberry syrups). I’m quite excited by how 2018 Westporter Weisse is turning out. In fact: I’ve NEVER been so excited about the release of a beer that’s less than 4% ABV! Also the release of Westporter Weisse on Friday is the first of three wheat beer releases we’re doing in late June/early July. Next up is COLLAB WEIZENBOCK at the end of June then SIMDROME American Wheat Ale in early July. All hail the beginning of summer with Westporter Weisse!